With graduations, Father's Day and summer weddings coming up, wouldn't it be great to be able to make your card stand out? One of the easiest way to do this is to add a special touch to the envelope by lining it. And if you've got an autumn wedding coming up, imagine lining your invitation envelopes! But first, I'm delighted to be with you today while Melissa is off on a trip of a lifetime! I'm Sharon Rexroad, a non-stop crafter / quilt designer / sewer / interior decorator / paper artist / author / maker of creative messes! My blog, Bringing Creativity 2 Life, has been on hiatus due to some major life changes but I'm getting ready to introduce a new and improved blog and if you go over to Bringing Creativity 2 Life and sign up at the form on the upper right hand corner, you'll be sure to get in on the fun I'll soon be back sharing with everyone. 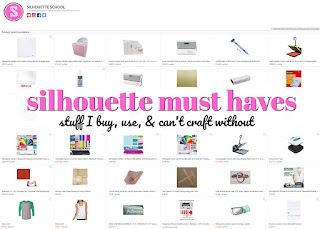 I've been a Silhouette addict since the days of the Silhouette SD model and taught lots of people to love their machine when I worked for Paper Source for ten years. I'm delighted to share one of my favorite projects with you -- lining envelopes. Using your Silhouette Studio software, you can create a custom liner template for your envelope and then let your Silhouette machine cut it out for you. How fun is that? This tutorial assumes you have access to a scanner, but you could almost as easily do a straight on photograph of your open envelope as well on a plain background and start with that. What you want to do is photograph the front of the envelope continuing into the open flap (not the inside of the envelope). Since every scanner and camera work a little different, I'm not going to give you the instructions for that. Just save your scanned or photographed envelope (with the flap open) as a JPG or PNG. Oh, and don't worry if your image isn't straight up and down -- we'll deal with that in a few minutes. Once that's saved, open your Silhouette Studio software. I'm using Version 3.3.451 on a Mac so if you've got a PC, your steps may be slightly different. Go to File > Open and then find your JPEG file on your computer. See, I told you your image could be wonky -- mine sure was! Just select your image and grab the little green dot at the top. Rotate your image until it's straight up and down; use the edge of the paper and/or the red and grey print and cut border lines to visually line up the envelope. Once you've got your envelope straight, it's time to trace it. Don't fret, I've got hints! Open up Trace > Select Trace Area (drag the curser to completely cover envelope). When you release the curser, you should see a thin yellow line around your envelope. The line will likely be fuzzy -- if you stop now, you won't get a good tracing. Make sure High Pass Filter is checked and change the Value in increments of 5 until a fairly bold edge is formed. In my case, I upped mine from 5.0 to 15.0. It's now time to pick your Trace Method -- select Trace Outer Edge. You'll end up with a thin red line around the edge of the envelope and, most likely, a few extraneous scattered red scribbles across the page. Click on the center of your envelope and drag it off the "mat". To get rid of the extra little red scribbles, click on the red line envelope. Choose Object > Release Compound Path. Drag and grab the red scribbles that are near the top half of the envelope > Delete. Repeat with the red scribbles near the bottom half. Viola -- you've successfully traced your envelope! (If you don't do it routinely, now's a good time to save your file). If you used this image as your liner, you'd struggle to insert it and it would bend and your envelope wouldn't close smoothly. (Sort of like when I try to get into that pair of jeans that are just a wee bit too small). What you need to do is adapt the tracing to a slightly smaller size using the Offset, Replicate and Modify capabilities of the software. You can get to Offset by either clicking on the motif at the top or by using Object > Offset. Click on image and select Internal Offset. Change Offset Distance to 0.125 (which equals one eighth of an inch). And make sure to select Corner so you get sharp corners instead of rounded corners. I find it easiest to keep track of what I'm doing if I make each new image a new color. Open the Line Color Window using the motif at the top. Click on the interior drawing and pick a new color for it (I used blue). Then click on the red envelope image and drag it off towards the original scanned envelope. You're almost done but we need to shorten the liner to accommodate the "stickem" at the top of the envelope flap. If you just shorten the liner by making the whole thing shorter, you'll mess up the angles at the top so the flap won't be mirrored accurately. What we need to do is take a half inch just off the bottom. Make sure your image is selected and then go to Object > Replicate > Replicate Options. Pick Advanced Options at the bottom right. Within that, select Custom Position > change Y Offset to 0.5 > click on Replicate. You'll get a duplicate image that's 1/2" lower than the original image. Select this and with the Line Color, change it to a new color (I used a purple). What we want is to eliminate the extra at the top and bottom. Select everything on the mat, and use the menu Object > Modify > Modify Options (or the Modify Motif at the top). Select Divide. Move the upper and lower sections away from the central liner image. If there is more than a sliver of a long line hanging off / rising from the extraneous sections, go back to your original liner image and make sure it's really vertical. The slivers you see in my image below are within the acceptable range -- heck, if I were cutting with scissors I'd wobble more than this! Once you've got acceptable extra sections, Delete them. As a check and balance, I like to move my liner over to my original scan of my envelope. Position it so it's 1/8" inch from the bottom, left and right edges. The extra space at the top is so it's below the envelope "stickem", allowing the envelope to be sealed. 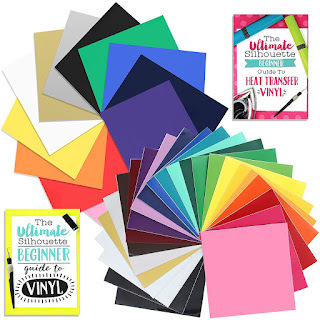 Move your envelope liner template back to the mat and SAVE YOUR FILE. (Ask me why I just put that in caps; no, don't ask me). The envelope I wrote the tutorial for was 5" x 7 1/4" (close to an A7 size). As you can see above, I'm only going to get one per 8 1/2" x 11" sheet of paper on a Portrait (or even on a Cameo). If I was using a 12" x 12" sheet on a Cameo, I could get two A7 liners per sheet by turning one upside down. You can really maximize the use of your paper with envelope liners for smaller envelopes. A 4Bar envelope is about 3 5/8" x 5 1/8" and you can get four on a 12" x 12" sheet and two on an 8 1/2" x 11" sheet. Liners work best when cut from text or typing weight paper. Gift wrap can also be used. 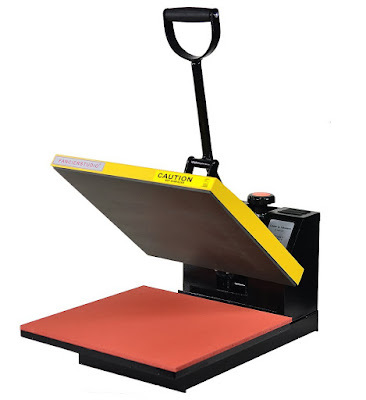 You do not want to use cardstock or cover weight paper as they won't fold well. And tissue paper is too thin (plus imagine trying to get it off your Silhouette mat - not!). 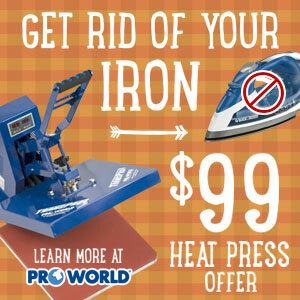 This means you'll likely use the Copy Paper or Patterned Paper (65 lb) options on your Cutting Screen. Play around with these settings as your starting point for cutting. Your paper doesn't have to be plain -- in fact, patterned papers can really be fun, especially if you've used a touch of it in the card you made that fits in the envelope. (You did make your card using your Silhouette, didn't you?) All over prints are probably easiest to use. In addition to your envelope and your envelope liner, you only need two more things. A bone folder (preferably a teflon or non-stick one) and an adhesive like a tape runner. You can also use a glue stick, but in my experience they tend to get gloppy and make the envelope flap bumpy or they wrinkle the paper as they dry. Set both your bone folder and adhesive aside until I show you how and when to use them. Insert your liner into your envelope. If it's got a "curl" from coming off the Silhouette mat, work with the curl rather than against it. Make sure to position the tip of your liner below the tip of the envelope flap. If you look at the picture closely, you can see a slight gap between the envelope "stickem" and the envelope liner, which is what we want. Fold the flap of the envelope closed and the liner along with it. (And no, you have not used your adhesive yet.) Finger press the crease. Take your bone folder and give the crease a good pressing. If you're using a bone folder made from real bone, stick a piece of cheap typing paper between the bone folder and the envelope. This prevents the bone from leaving a sheen on the envelope. If you're using a teflon or non-stick bone folder, this isn't an issue. Now open up just the envelope flap; leave the liner exactly where it lays from the creasing. Okay, NOW you can get out your adhesive! Most tape runners have ridges or a divot that indicate the top of the tool. The one shown also has a protective little door under the tape; other brands may have a removable cap. Swing the door open or take off the cap. Place index finger on the ridges on top (or in the divot). Hold the tape runner at a slight angle to the first edge of the paper. Start at the crease and gently roll the tape onto this edge. When you get to the end, lift up and keep you hand going in the same direction (but in the air). I consider this the crafter's equivalent of a golfer's follow-thru; if you twist when you come to the end of your edge, your tape may go off track. I played with the exposure of this picture so you can see that first line of tape better. Starting at the tip, add tape to the second edge of the liner, lifting up as you get close to the creased top edge. If you can angle your body rather than moving your envelope, that's preferable as it decreases the likelihood of the liner shifting out of position. That's all the taping you'll do! No need to tape close to the crease. 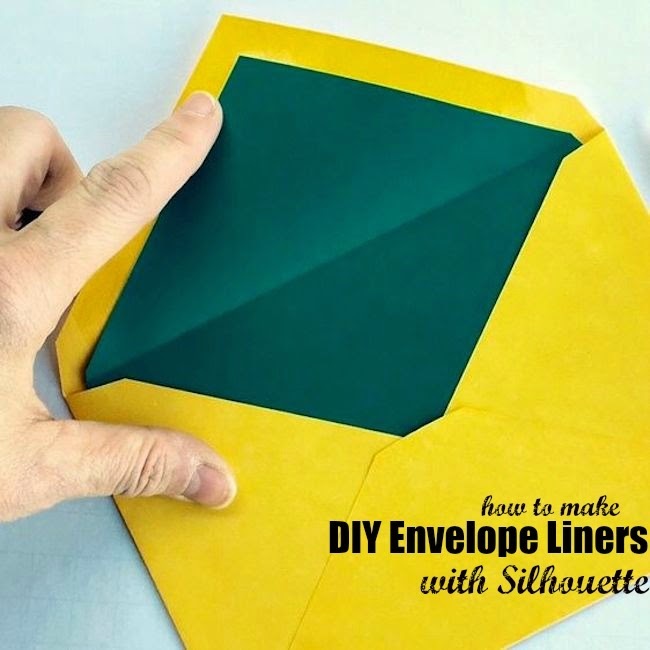 And you definitely don't want to tape the lower part of the liner to the inside of the envelope -- the liner has to have the ability to move as the envelope flap is opened and closed. I kinda describe it as the liner is flat-footed when the envelope is closed, but as the flap opens, the liner gets on its tiptoes. Sorta as if it were a marionette, pulled up by its strings. Gently lower the envelope flap over the liner. Finger press the flap along both long edges to increase the adhesion of the liner to the envelope. Open up the envelope flap and give yourself a round of applause -- you've lined your first envelope! As you get more comfortable with making envelope liners, you can really get creative. Imagine doing a Print and Cut for a bridal shower liner, using the bride's baby picture on the flap of the liner! Or cut a monogram out of the liner flap area and then attaching that to the outside flap of the envelope. The ideas are endless. If you're using a decorative paper or gift wrap for your paper, and doing lots of liners (such as for a wedding or large party), consider using the 12x24 mat that's available for the Cameo. Depending on the envelope size and if the paper pattern allows it, you'll be able to get a higher quantity going per cutting pass. (And what a fun excuse for getting the larger mat if you don't have it already!) To ensure that the card recipient doesn't just slice through your lovely liner with an letter opener, you can opt to use a sticker to close the flap instead of licking it shut. Of course, you'll make that sticker extra special using your Silhouette, won't you?!? 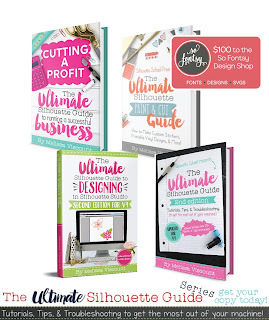 I've got several other projects on my Bringing Creativity 2 Life blog that use the Silhouette. Here's a couple of my favorites: Creating Floral Fabric Teacups Using Your Silhouette Machine + Free Cut File! 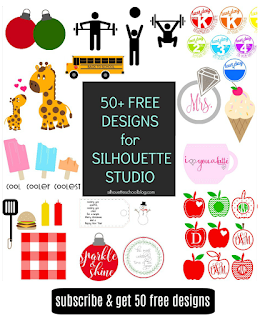 I've got several more Silhouette project in the works for my new and improved blog and hope you'll be along to enjoy the creative fun! 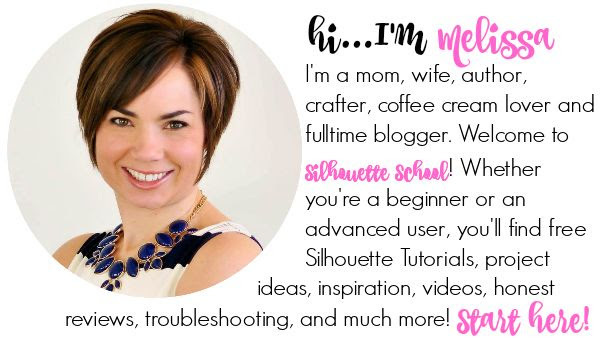 Thanks, Melissa, for letting me share my envelope lining tutorial with the students at the Silhouette School! It's been loads of fun being your substitute teacher for the day. Thank you! This is an awesome explanation, and so simple too!